Excerpts from a publication issued by the C.K.C. on often asked questions. What is a “Non-Breeding Agreement”? The Canadian Kennel Club’s Non-Breeding Agreement is, in its simplest form, a covenant between the buyer and the seller of a purebred dog that prohibits the further breeding of that dog. When is a Non-Breeding Agreement used? This instrument is utilized on those occasions when the vendor (breeder/seller) has, for various reasons, decided that the dog should not be bred. It could be used when selling a dog with a flaw or fault so as to preclude the propagation of the deficiency; it could be used to prevent indiscriminate breeding and production of unwanted animals . . . a conscientious breeder, interested in the improvement of the breed should make full utilization of this unique Canadian provision. How is it done? The non-breeding agreement (completed in triplicate) is signed at the time of sale by both the buyer and the seller. The original copy of the agreement is sent to the CKC with the registration request. There is no charge other than the nominal registration fee. What are the stipulations of a non-breeding agreement? The following is a quotation from the agreement itself. 1) Upon completing payment for the dog I am to be provided with a certificate of registration issued by the C.K.C. showing myself as the recorded owner. 2) The dog shall not be used for breeding purposes by me or any other person and I hereby understand and agree that any progeny of the dog shall not be eligible for registration in the records of the C.K.C., nor may any such progeny be represented as purebred. 3) Should I sell or otherwise dispose of the dog it shall be a condition of such sale that the new purchaser shall execute an identical agreement as this one and I shall forthwith file a copy of same with the C.K.C. What do the above requirements mean? In essence, they prohibit the breeding of the particular dog named on the form. If the dog is bred, deliberately or otherwise, the resulting progeny of that breeding must not be represented as purebred or considered eligible for registration as purebred in the records of the C.K.C. It is also important to understand that if the buyer subsequently sells that dog it may not be transferred to a new owner unless a second non-breeding agreement, signed by both himself and the new owner, is provided to the CKC with the transfer of ownership application and transfer fee. 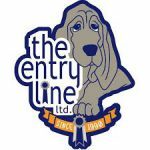 Does the buyer of a non-breeding registered dog receive a certificate? Yes. The buyer, through the breeder/seller, is given a special restricted non-breeding certificate of registration. The special certificate bears a red notation at the top which states that it is a non-breeding dog and may not be used for breeding purposes. The certificate itself has “Non-Breeding” boldly printed in green diagonally across the certificate. 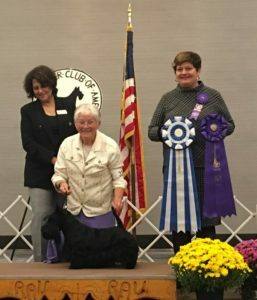 A dog so registered is still eligible to enter CKC shows and can be entered for Obedience and even may obtain its Championship title. The requirements of the Livestock Pedigree Act (Canada) are still applicable and the seller may not refuse to supply the certificate on the basis of a non-breeding agreement. Can a Non-Breeding Agreement be canceled? Yes. The non-breeding contract has been revised so that the consent required for cancellation of the agreement may be between the party who originally required that the dog be transferred subject to the non-breeding agreement and the registered owner at the time cancellation is sought. If a non-breeding dog is transferred from the party who originally acquired the dog as a non-breeding animal, the buyer and the seller must complete the required non-breeding contract. The seller however may either continue to require that his consent be obtained to any subsequent cancellation of the agreement or may waive his right to be involved at all. In either event, the seller’s intentions must be signified in the relative section of the revised form. regardless of the number of cancellation forms which may have to be secured to cancel a non-breeding agreement, there is a fee payable by the party who seeks the cancellation. Please note: the person who originally registers the dog as a non-breeding animal or causes such restriction to be recorded, may not waive his right to be a party to any subsequent cancellation of the non-breeding agreement. When the required fee and cancellation form is received by CKC properly signed, a new unrestricted certificate will be issued to the owner. Is the Non-Breeding Agreement enforced? Yes. 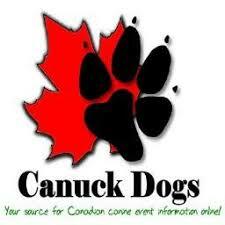 The Canadian Kennel Club will not register the progeny of a non-breeding registered dog. An application to register a litter sired or whelped by a non-breeding registered dog will be rejected by the CKC. What about a dog exported to the U.S.A.? It should be noted that a dog exported to the USA which is registered as a non-breeding animal in the records of the CKC is not considered eligible for registration by the AKC unless the non-breeding agreement is canceled and an unrestricted certificate is issued by the CKC.